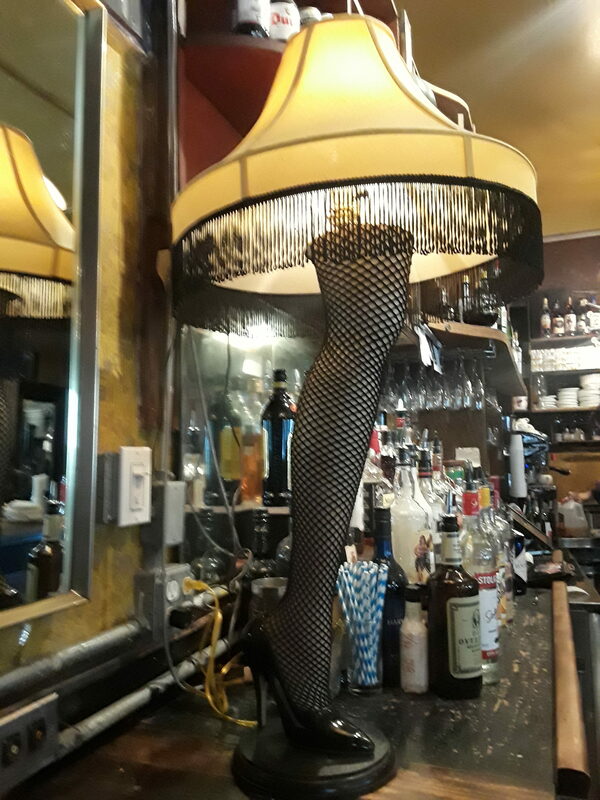 Sadly, this leg lamp isn’t for sale at Sparrow, but you can enjoy it with a nice drink. Even if the holidays stress you out a little (and it’s okay if they do), there’s still something pretty magical about all the twinkling lights in the winter darkness. It’s okay, you can like it. There’s also something nice about the smell of pine, and there’s definitely something nice about being in charge of how to decorate. 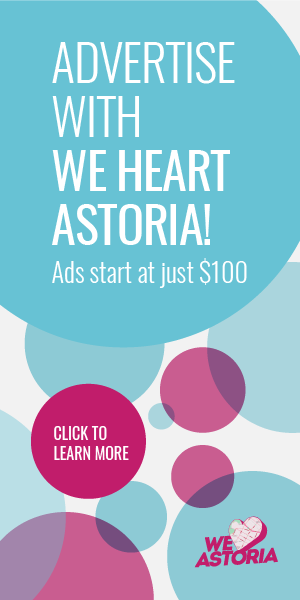 Go minimal or go all-out, traditional or modern, pretty or silly, you can get any holiday style you want in Astoria. 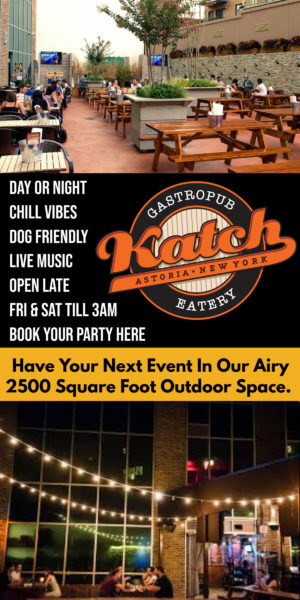 Here’s a roundup of places to get your cheer on. 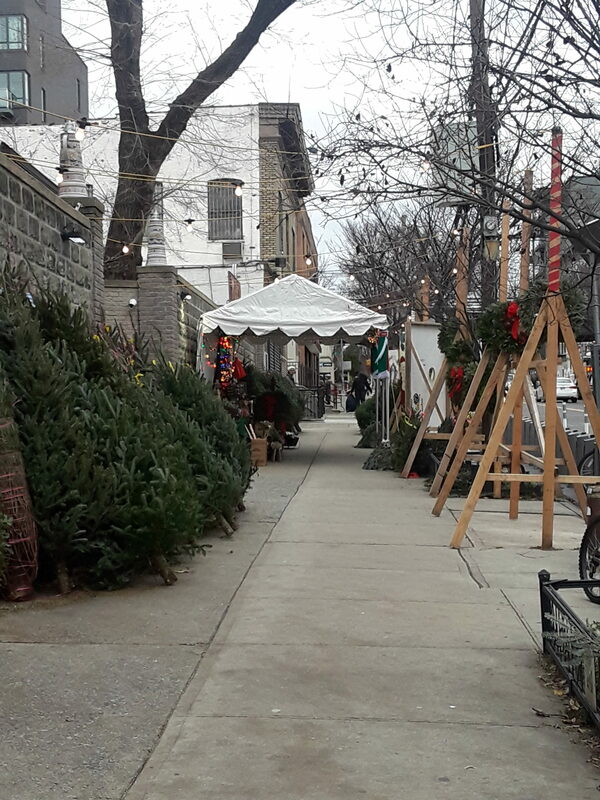 Trees of all sizes, as well as wreaths, loose branches, and those little wooden reindeer are available outside of the Bohemian Hall beer garden walls through Christmas. Extra fun? They have a little tent with lights and Christmassy things to walk through. They take credit cards. Leave a tip, the workers are outside all day. Like the above outdoor tree market, this one is more of the same, with trees of various sizes. The Home Depot has a selection of real and artificial trees, as well as plenty of accessories. It’s a great option if you have a car for hauling your goods, and there are plenty of people on hand to answer questions and help you find the perfect choice. 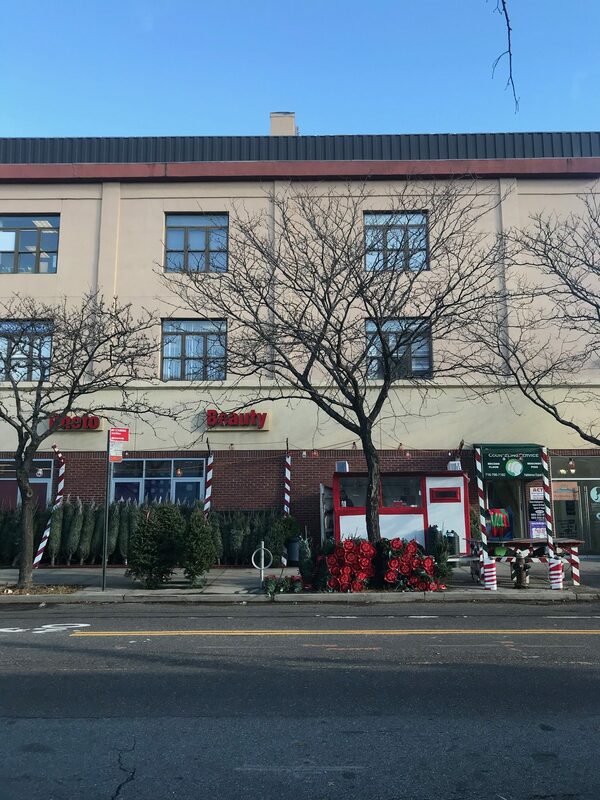 Quinn Florist, adjacent to the funeral home, offers flowers for the holiday season, including wreaths, tabletop arrangements, and trees. 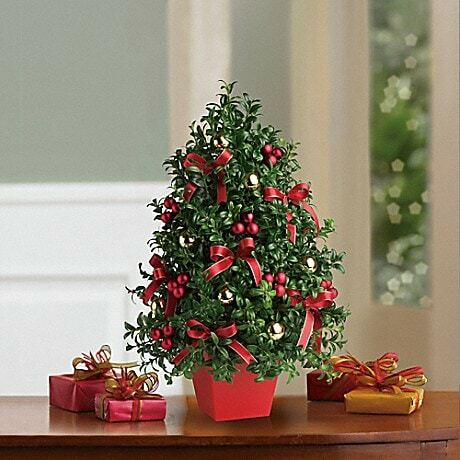 They also offer mini potted trees, which are a perfect choice is space is at a premium. Hauling a tree home not your thing? 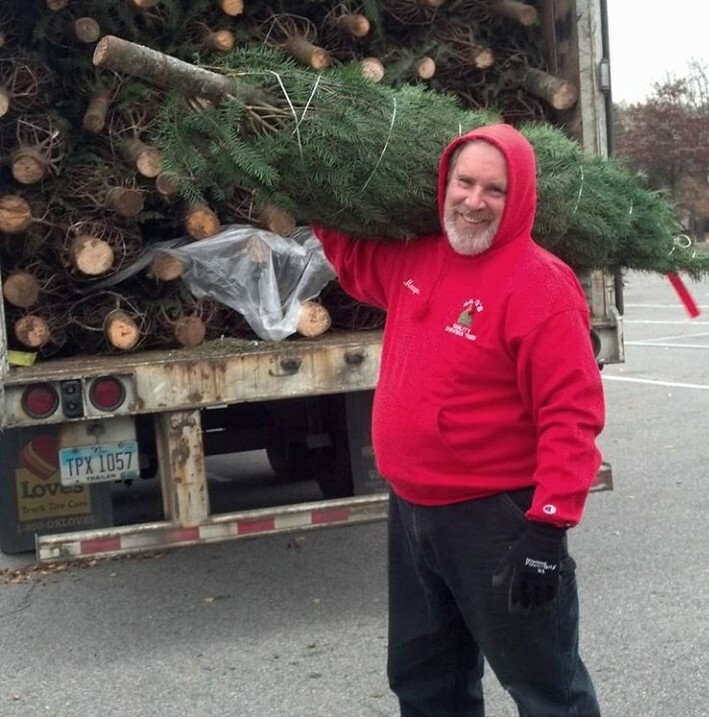 You can order one online through Greg’s Trees, and they’ll throw in delivery and setup in your home, as well as a box of string lights to get you started. They’re also the company hosting the Bohemian Hall tree location, if you’d rather pick one out yourself. 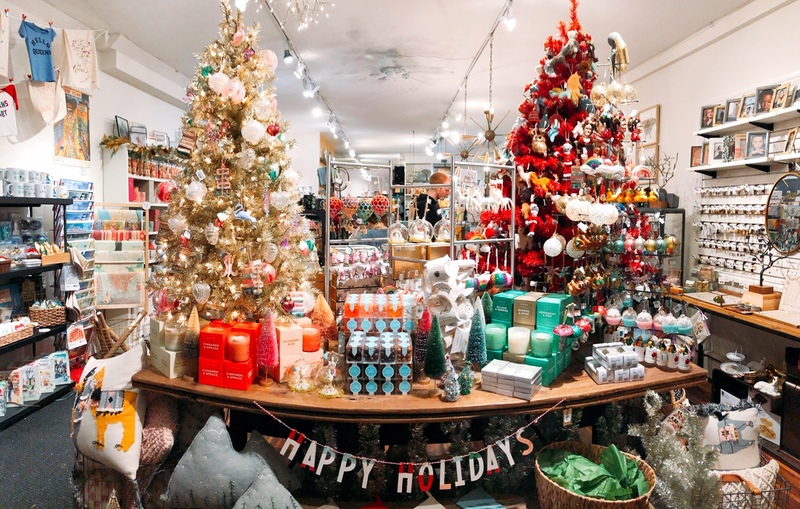 If you’re looking for what to put *on* the tree, or just around your home in general to boost the festive feeling, look no further than these local spots to find all kinds of cute holiday decorations in a variety of styles. It’s not the holidays without some seasonal flora. Whether that’s in the form of wreaths, garlands, or tabletop decorations, Petals & Roots has you covered. Even better? They’re holding wreath-making workshops so you can create a truly one-of-a-kind wreath that reflects your holiday spirit. And they’re BYOB! Throughout December, The Brass Owl is hosting a number of pop-up shops featuring local artists, crafters, makers, and designers. That means that in addition to their own stock of holiday goodies, you’ll find a rotating selection, too. Inside Astoria has a great collection of holiday home decor items, like these polar bear figurines, above, as well as ornaments, candles, potpourri mixes, and more to turn at least one corner of your house into a little holiday nook. In addition, you can find great gifts for kids here., which you might have seen during #shopsmallastoria. Here’s where you can find the more nuts-and-bolts items to create your own personal winter wonderland. We’re talking string lights, tree stands, classic ball ornaments, and more. What’s your holiday decoration style? Do you go all out, or do you prefer to keep things simple? Let us know and share your decoration creations with us! Also let us know where you’ll be getting your trees and your decorations in case we missed anything! 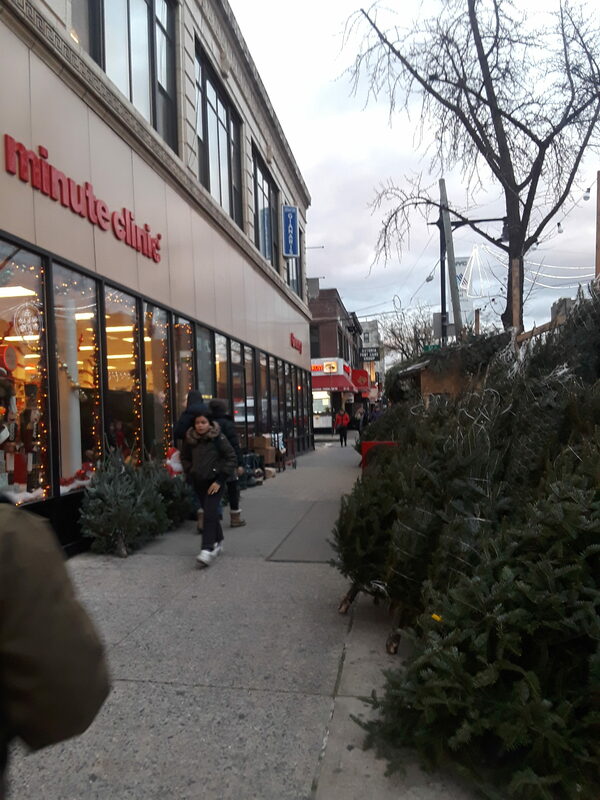 There’s a tree guy on Broadway and 32nd who will deliver your tree for free (and is a lot cheaper than Greg’s Trees online prices, I think his trees are $10 per foot).